Whenever I am creating an itinerary for a new city to visit, I like to find a couple of sweet options. 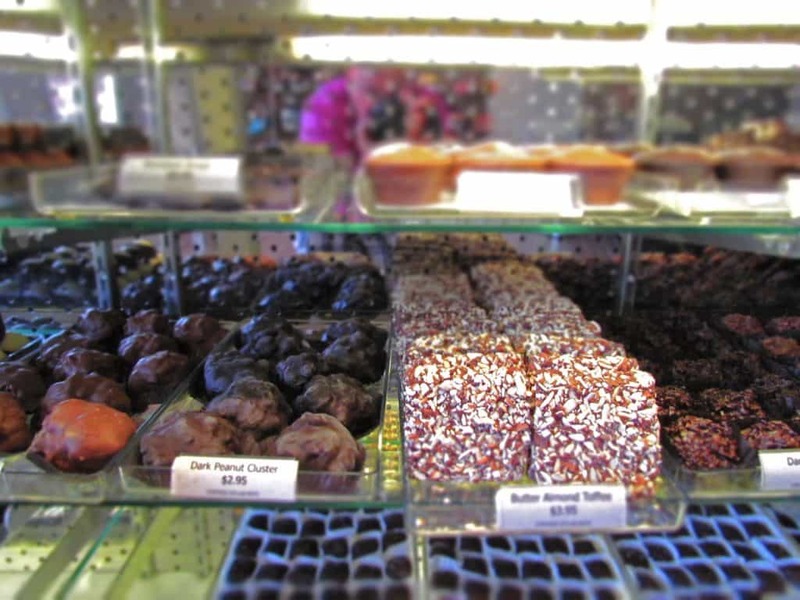 In Tulsa, it was obvious that a stop at Glacier Confection would be a requirement. We find chocolatiers to be a set of unique individuals, with the patience for incredible attention to detail. Each place has its own backstory, and we find them all to be interesting. When I reached out to the owner, Bill Copeland, he graciously invited us for a tour of his facility. We want to thank Glacier Confection for their hospitality. Rest assured that all opinions are our own. Glacier Confection happens to be located just a short distance from the Woody Guthrie Center, which was the first museum on our schedule. Since we were in between lunch and dinner, we didn’t figure a few bites of chocolate would do too much harm to our appetites. An added bonus of visiting inner city locations is that many stops can be combined into one walking session. In our minds, the extra steps justify the calories we consume at places like this. The owner was unavailable the day of our visit, but had arranged to have us meet with Colton Rohr, the Director of Sales. We arrived earlier than planned, and figured it would give some time to take plenty of photos. The two staff members on duty knew about our arrival, and made us feel very at home. 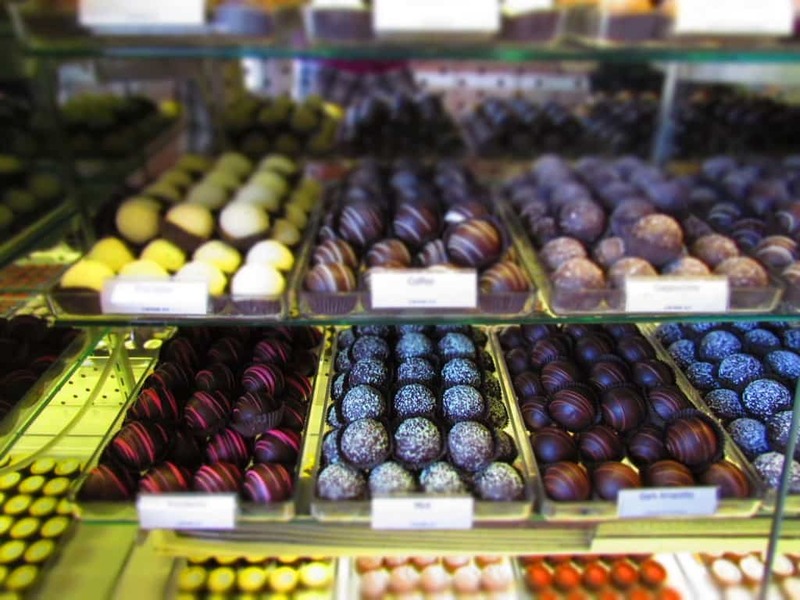 While the store is known for their artisan chocolates, they also carry many standards that customers have come to expect at a chocolate shop. 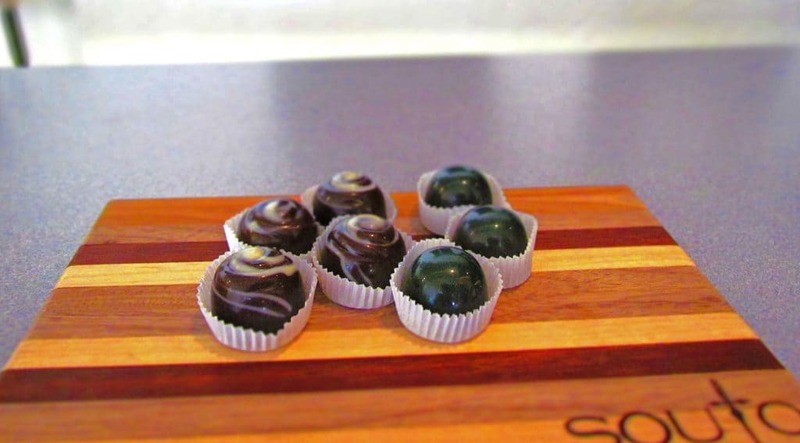 They have the chocolate en-robed nut clusters, which come with a variety of nut options. 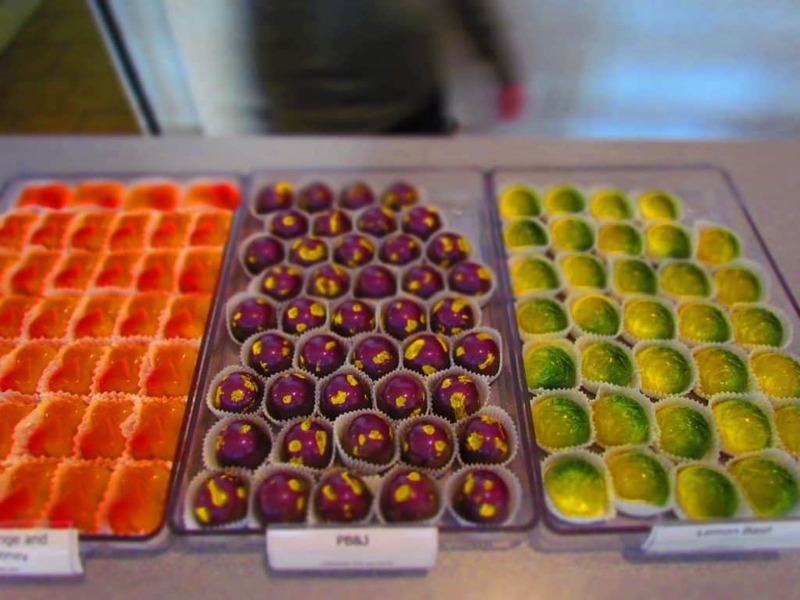 Toffees, truffles, and a wide range of other sweets also decorate the display cases that flank the entrance. Of course, these are beautiful to look at, and delicious to taste, but they are not the star of the show at Glacier Confection. After taking a bunch of photos (I never know which ones I will end up using. ), the staff members asked if we would like to sample some of the chocolates. Obviously the answer was, Yes! They brought out a board that held two flavors of their decorated specialties. The first we sampled was the Margarita, which is from their Cocktail collection. OMG! We were both amazed at their ability to capture this flavor in a chocolate. The second sample was the Vanilla Bean from their Dark Chocolate collection. Once again the flavor was right on the mark. Colton arrived with Hannah Shriever, Director of Operations and Erin Groff, Production Manager. This was perfect timing, since other customers were in need of the staff’s attention. Our discussion focused on Glacier Confection’s interesting background, just like some of the other chocolate companies we have covered. Bill Copeland actually was running a carton packaging company, when he decided to move into the chocolate business. He immersed himself into his study of the art of chocolate making. Under his direction, Glacier has become recognized as one of the Top Ten confectioners in North America. That is quite an accomplishment for a box maker, and shows his dedication to the business. These days he has staff to help him with his creations, but the commitment to delivering the finest quality is still paramount. It certainly comes through in the flavor of the chocolates, which we continued to sample. After more discussion, and tasting, our time for this visit was coming to an end. We had both decided on our favorites, which is no easy feat in a shop filled with so many options. Crystal loved the Chardonnay Sea Salt, which is truly one of the best chocolates we have ever tasted. That is saying something, since I have always been partial to dark chocolate. No fear, they had just the thing to satisfy my sweet tooth. The Fortunato Solid is by far the best dark I have ever sampled. This is the kind of chocolate that needs to be savored, as it melts in your mouth. It was time to move to our next stop, but before we did, they wanted to give us a parting gift. Colton, Hannah, and Erin assembled a mixture of their favorites for us to try out later. (By the way, Thanks! Everything was great!) They told us that Glacier Confection is in the process of preparing a second location, which will feature a lounge style setting. This is certainly a look we will want to experience, so a return to Tulsa will have to be scheduled. 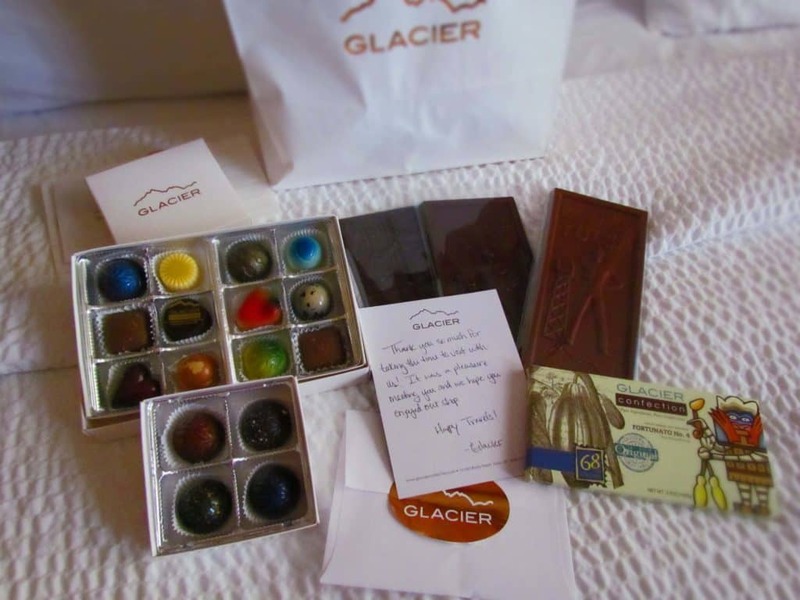 In the meantime, why not make your own plans to visit Glacier Confections? We are betting that you will find lots of new favorites. Thanks for introducing me to Glacier Confection. I’ve been immersed in the world of fine chocolate since 2009 and have never heard of them before. I hope you have a chance to visit. 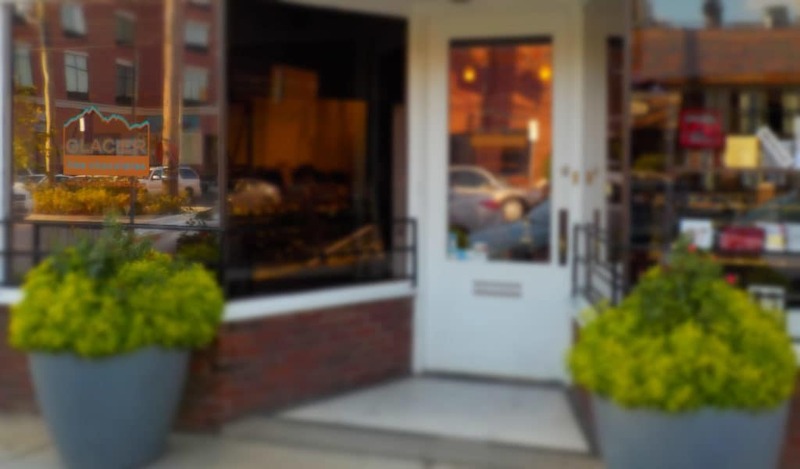 You my also want to look into Cocoa Dolce in Wichita, Kansas.